What happens when your drop your phone and shatter the screen? Or when its battery starts to grow noticeably weaker? These common technological woes are things that you should be able to remedy yourself—just buy some parts, get some tools, and fix your device. But it’s not that simple. Gadget manufacturers have been increasingly restricting access to the parts, tools, and knowledge required for regular consumers to fix their broken tech. Instead, consumers have to turn to authorized repair technicians, and often pay a lot more, to get something fixed. Our guest this week, Nathan Proctor, is the national director of the Right to Repair Campaign for US PIRG. Proctor and his team advocate for state and federal legislation that secures consumer access to hardware repairs and software updates so they can handle these repairs themselves. Also this week, Peter Rubin tells us about what to expect from the new PlayStation console Sony plans to release next year, and we discuss the problems with early review units of the Samsung Galaxy Fold smartphone. Show notes : Read Peter Rubin on . Uber filed to go public this week. No big surprise there; everyone in the industry has been waiting months for the ride-hailing giant to hit the accelerator on its IPO. What did raise an eyebrow were the details the company divulged in its filing—from how it views the future of its business to what it considers its primary challenges in the marketplace. This week, we invite WIRED transportation reporter Aarian Marshall back onto the show to break down all of the revelations in Uber’s S1 filing. You can read her news story about the upcoming Uber IPO . We’re confused about what exactly this hoped-for Targaryen Restoration is about, politically. And is Game of Thrones, like, good anymore? Laura Hudson and Spencer Ackerman preview the political and social themes fueling the forthcoming final season of Game of Thrones. This week, we’re joined by a special guest: freelance war correspondent Kenneth R. Rosen. Ken is working on a series of stories for WIRED about the reconstruction efforts in Syria. The first of Ken’s stories, “The Body Pullers of Syria,” published earlier this week. We talk to Ken about how he does his job, the tools he uses to report the stories of the men and women rebuilding the war-torn cities, and the methods he uses to stay safe in the field. Hormonal male contraception is not a new idea––in fact, researchers have been working on solutions for men the pill was invented for women. But early tests around male contraceptives were inconclusive, and as birth control pills exploded, interest in a male version of this waned.&nbsp; A new male contraceptive gel, one that reduces sperm count, could change that. It’s been in the works for more than a decade, WIRED’s Arielle Pardes reports this week, and it looks promising. Even if the gel eventually make its way to pharmacies, though, there may still be societal hurdles to overcome. 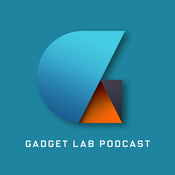 And survey results are mixed, Arielle tells us on this week’s Gadget Lab podcast: Some men indicate they would be reluctant to use birth control, while others are for it.&nbsp; Also on this week’s pod, Mike, Lauren, and Arielle discuss all of the news announced at Apple’s services-focused event on Monday. You could say it was an unusual presentation, as far as Apple events go. But on the upside: Oprah was there.&nbsp; Show notes :&nbsp;You can read Arielle’s story about the clinical trials of the latest male contraceptive gel, called NES/T, .